Thank you to Kerry and Alaine for sending these lovely postcards from the twin destination of Lynton and Lynmouth. This is a popular tourist destination in the North Devon coast and sometimes known as Little Switzerland because of its topography (it’s very steep and hilly). Geography Cat has visited this area himself and loves everything about it. 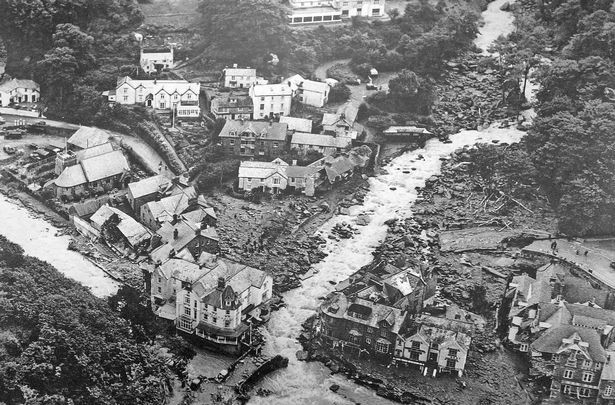 Lynmouth was the site of a devastating flood on the night of the 15th to 16th August, 1952. Tragically, 34 people lost their lives in the flood, hundreds of homes and other properties were destroyed. Flood defences have been put in place since then and it is interesting to read how effective these are, and what the potential impact of climate change may be on the area. Read more here.